This is a Lyft interview guide that will help you land a position at Lyft by preparing you for the Lyft interview. We’ll go over basic information about the company itself and then list nine common Lyft interview questions. Each question is followed by an answer suggestion that you can use to form your own answers from. At the end of the article, you’ll find some helpful tips for interviewing at Lyft successfully. Lyft is an app-based on-demand rideshare company that was founded in 2012. It operates out of more than 300 cities in the U.S. and Canada. More than a million Lyft rides take place per day, and Lyft is growing at such a fast pace that they are consistently hiring new talent. Their mission statement, “Improving people’s lives with the world’s best transportation,” speaks to the ultimate convenience of the company’s concept. Customers can call a ride from nearly anywhere and expect a driver to show up within minutes. 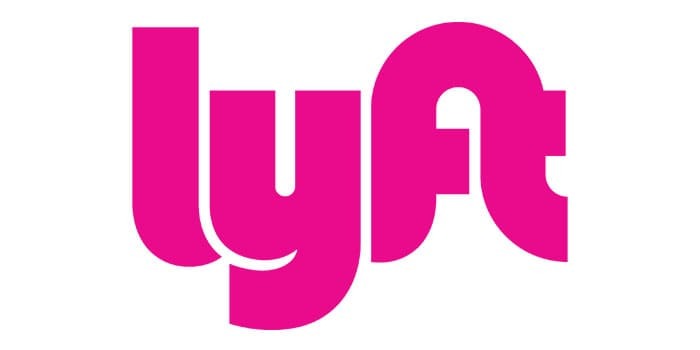 Corporate jobs at Lyft offer a hugely competitive Lyft benefits package, with a generous parental leave allowance, free Lyft credits, a 401k program, and affordable health and dental insurance plans. These are some of the Lyft interview questions that are asked most frequently. We’re going to cover questions for these three positions: Driver, Customer Experience Associate, and Software Engineer. Go through each question that pertains to the position you’re applying for and practice them out loud, preferably with a friend. The more you rehearse your answers, the more prepared you’ll be on interview day. There are nine Lyft interview questions listed here in total, three pertaining to each position. A1: “At one of my previous jobs, there was a manager that was constantly picking on a small part of my team. The people he targeted were newer to the company but very skilled. I was confused because, normally, the manager was a friendly and accommodating person. A3: “At all of my jobs, I’ve been involved in taking angry customers and making them more satisfied. In the beginning, it was difficult for me not to get defensive when customers blatantly exaggerated their stories or made untrue statements. Now, I know that attentively listening to a customer’s story before speaking and assuring them of my intention to help solve their problem fixes most issues. A1: For this kind of question, you’ll want to go into specifics about the project you helped build, the technologies you used, and your role in the team. Be as detailed as possible without going off on a tangent. If possible, precede the description of the project itself with a short story that elevates the situation. Something like the following statement will illustrate to your interviewer that the project was difficult in more ways than one. No matter what Lyft position you’re applying for, try to stay upbeat and friendly. Smiling and displaying confident body language throughout your interview will help your interviewer determine that you’ll do just well at Lyft. As you’re answering Lyft interview questions, try to frame them in a positive manner. Don’t place blame on former managers, coworkers, or customers. As a Lyft driver or customer experience associate, you’ll be on the front lines when it comes to dealing with customers. Show them you’re the right fit! Future Lyft software engineers should expect their interview to consist of anywhere between 30-50% technical Lyft interview questions. Practice your skills on Leetcode before heading to your interview. Don’t forget that Lyft is also concerned with your design strategies for each problem. If you’re given the chance, interview for the position at the Lyft office. Coding interviews are generally less smooth over the phone, and you’ll be able to experience the Lyft office and sample the company culture by visiting. The latest collection of FedEx interview questions. When is your Lyft interview scheduled for? Comment below and let us know what you’re doing to prepare. View job openings at Lyft on their website and read through testimonials of what it’s like to work at Lyft by going to the Lyft Glassdoor profile. If you’ve already interviewed at Lyft, comment and let us know what the most challenging Lyft interview questions you encountered were.